Your holiday destination with class! directly in the skiing and biking paradise Saalbach-Hinterglemm! You love the charme and high quality of living in the country of Salzburg – especially the region Zell am See, Kaprun and Saalach Hinterglemm – in Austria? You want to spend time with your family and friends here? In our comfortably furnished chalets you can enjoy your holiday in the privacy of your “own four walls”. Avaiable for booking starting Fall 2019. In December 2019 chalet 3 will be avaiable for our gusets. The two-storey house will be built directly next to chalet 2 and will be able to accomodate 4-6 persons. It will be built traditionally out of wood and for your relaxion will come with a sauna and a whirlpool. During summer one can find peace, quiet, relaxation and a nearly untouched landscape in the highest grass-mountains of Europe at the Chalet Glemmtal. Cultural and sporting activities, plenty of experiences and adventures, breathtakingly beautiful sights, a great biking infrastucture, as well as the “Bauernherbst” festival starting mid-August and ending mid-Octobre will guarantee a exciting and enjoyable vacation. Kaprun with its countless attraction like the “Tauern Spa”, the dry toboggan run “Maisiflitzer” und the glacier is only a few minutes away. Thanks to our excellent position you will be able to reach the Skicircus Saalbach/Hinterglemm-Leogang-Fieberbrunn, which is only 3km away, within just a few minutes. 7,5 km of slopes ending right in the town center. If you start at Saalbach or the Schmittenhöhe you can ski right back to our front door. 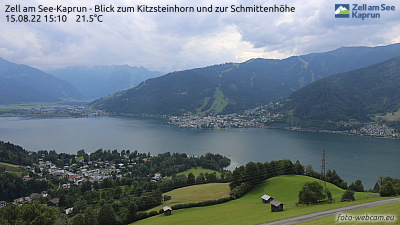 During Rainy days we recommend a visit to the Tauern Spa Kaprun, a fantastic Spa, only a short 20 minute drive away.